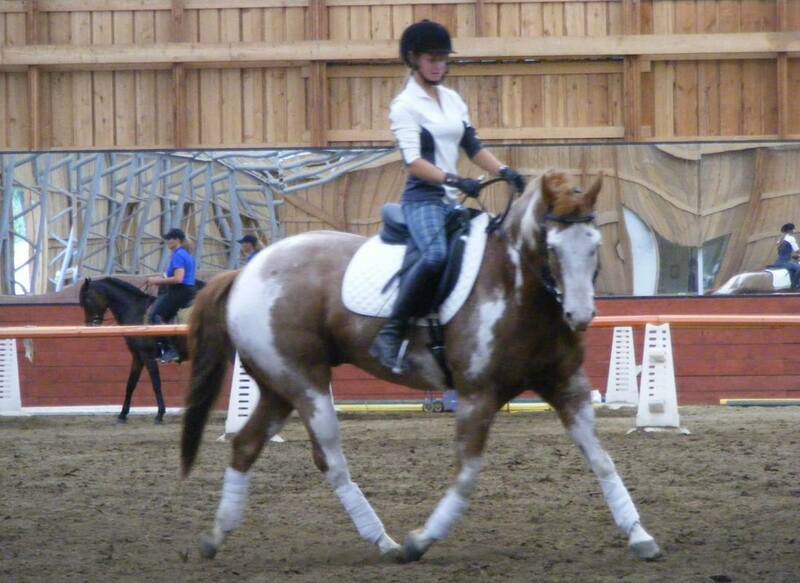 "I was told by a previous riding instructor that getting my horse to do dressage was like trying to get a fat kid to do ballet. I have been taking lessons from Catherine for roughly 5 years now. I have a paint quarter horse who was bred for western pleasure, Catherine did not tell me he could not do dressage, she made me believe it was possible. She showed me it was possible! With a lot of patience and practice we got GQ doing double bridle work, travers, shoulder-ins, counter canter, and even the beginning of Spanish walk! All these things became fluid for my stocky paint! 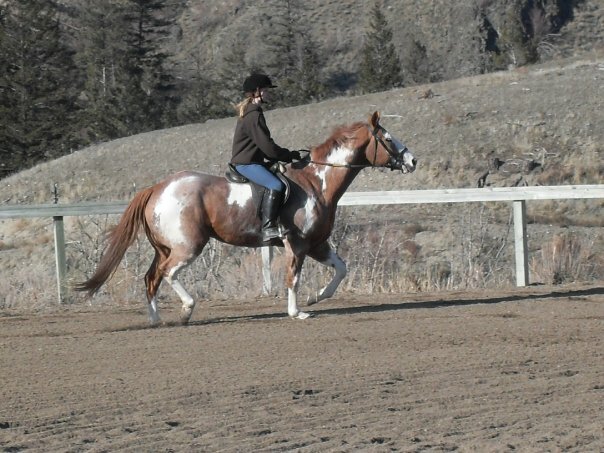 "In the summer of 2013 I had the great chance to spend four month at Skookum Horse Ranch. Over years I had the dream to learn how to ride with lightness, I knew the system of Légèreté before but couldn´t find a trainer in Germany (where I come from). That I found Cat was my luck and a great opportunity! Catherine is a fantastic teacher, mentor, trainer and friend in once. She is patient and sensitive with her students, she gave me confidence because she trusted me and my skills. To teach someone how to ride a horse is very difficult because riding is based on empathy. 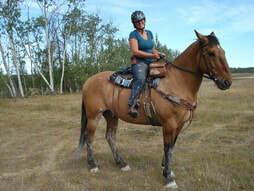 Cat is a really good trainer because she is able to empathize with the rider as well as with the horse. She is one of the most impressive horseperson I ever met. With her as a trainer you will find the full package of knowledge, she can see your problems and goals as a whole, the rider, the saddle, the hooves, the diet of your horse. I never saw someone in such a wonderful relationship with horses! 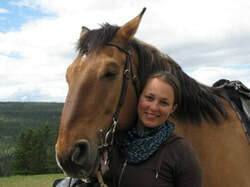 Catherine connects theory and praxis in a really lively and understandable way, she is open minded and able to think outside the box, everybody is in good hands whether sitting in an english or a western saddle. My school horse was Bongo. I will never forget my patient, gentle teacher. I could trust him in every situation, he carried me through mud holes, paddles and thick forest and we learnt everything together – coordinate our bodies, endurance, frustration tolerance… Cat supported us from balance problems to the first steps in sideway movements, from heavy shoulders, slow hindquarters and a lot of weight on the forehand to nice trot steps in a great position. The rising of Bongo – from lazy draft to dressage Lusitano : D I can´t thank her often enough for what she offered me, for the way that she showed me – the way of lightness!"